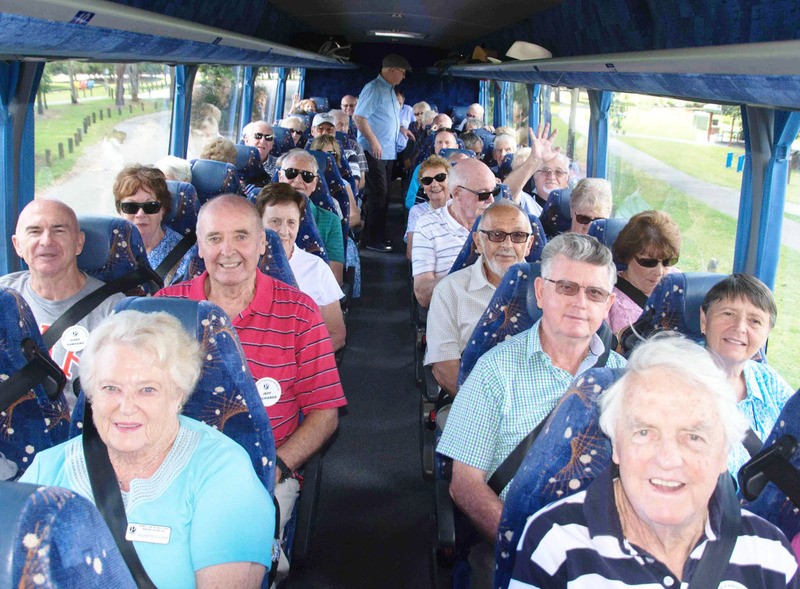 A full busload of members departed Burleigh Waters on a magnificent autumn morning bound for the Redlands District. 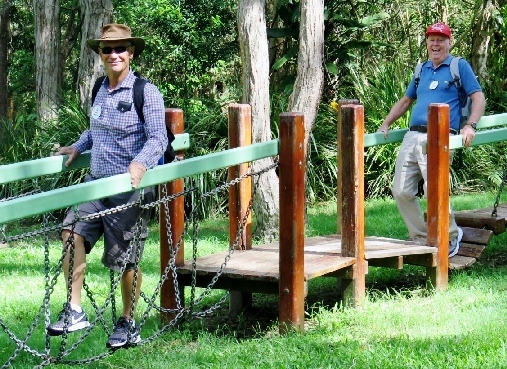 Our morning tea stop was at the INDIGISCAPES CENTRE at Capalaba amongst the landscaped gardens, bush setting and flowing stream, with some trying out the interesting balance testing equipment and flying fox. 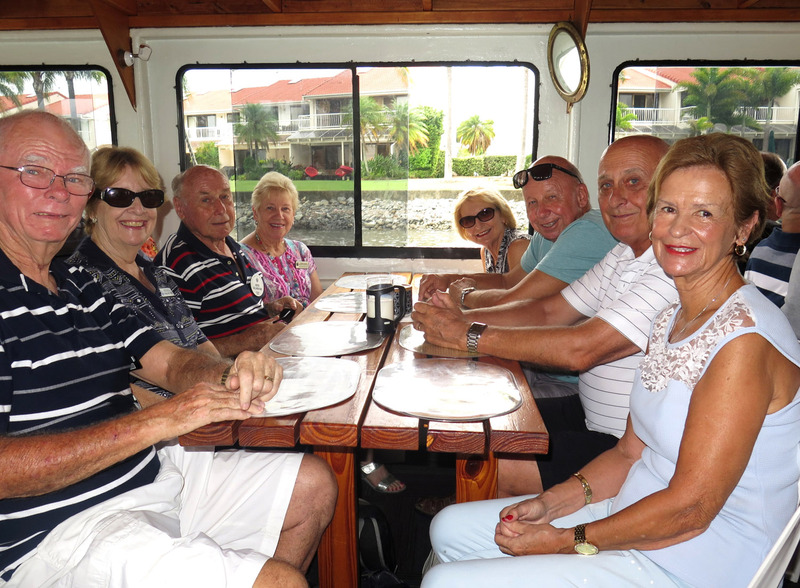 We then headed to the Redland Bay Marina and boarded our fast cat ferry which took us on a delightful ride around Redland Bay, calling into Karragarra, Macleay, Lamb and Russell Islands. 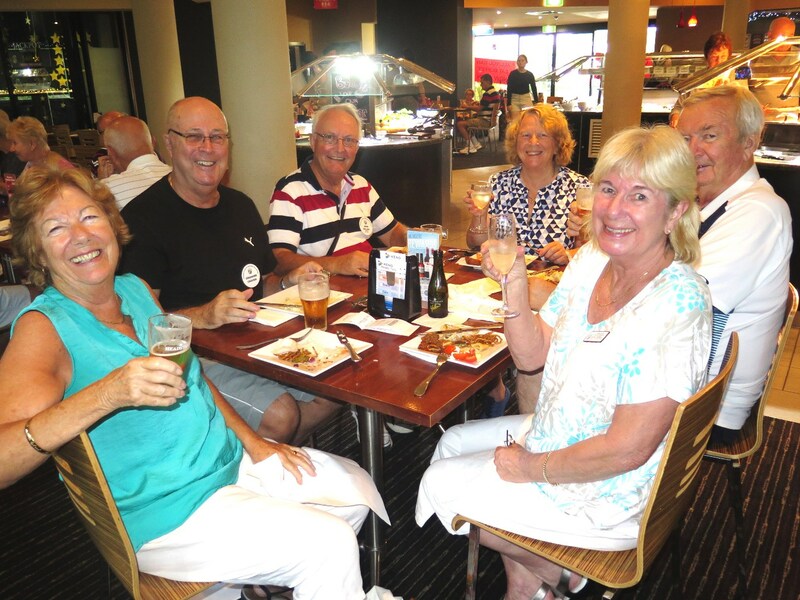 Following our short “CRUISE” we drove to the Redlands Sporting Club at Wellington Point where we enjoyed a healthy meal and liquid refreshments. We then returned to the Gold Coast after a very enjoyable day was had by all. 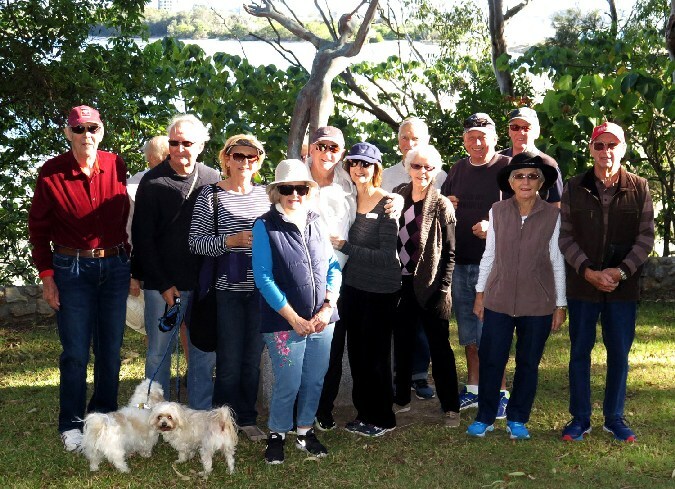 A really good walk was enjoyed by fourteen ENTHUSIASTIC & SUPERFIT members, plus Susie the dog, following the boardwalk trail from Fleays Car Park along the undulating scenic foreshore of Tallebudgera Creek. Coffee and chit chat was enjoyed at Fleays Cafe. 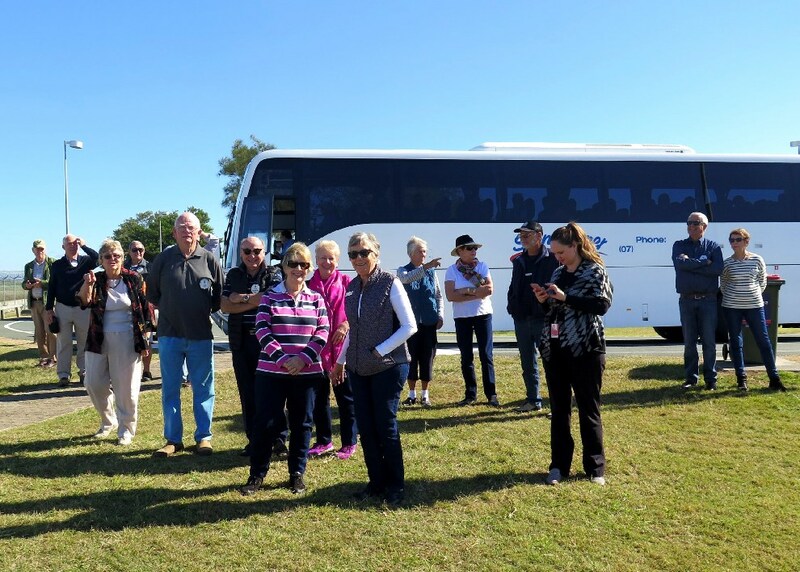 Forty seven members and partners attended the Brisbane City Hall Coach Tour on Monday 4th March, and on the way we called into Logan River Parklands for morning tea. We were split into two groups, and were given an excellent tour of the City Hall, including a detailed explanation of its history by our tour guides. Then it was off to one of our favourite watering and eating holes for lunch, the famed Breakfast Creek Hotel, where we enjoyed a delicious two course meal with tea and coffee. We arrived home around 4.00pm well satisfied with the day’s outing in which there was much laughter and good friendships. 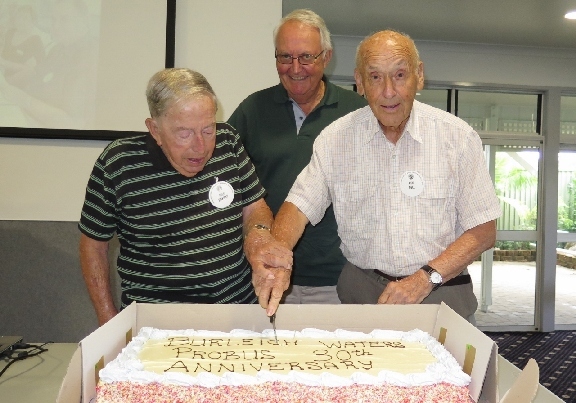 The Probus Club of Burleigh Waters celebrated its 30th Anniversary in February, with Rex and Fred, our two longest serving members cutting the special Anniversary Cake. Previous Presidents Kevin C, Bill C, Brian H, Barry S & Dan N who are still in the Club spoke on their experiences, plus Maureen M spoke on behalf of Terry M, with Keith C also being acknowledged. Displays for members to reminisce were done through photos in albums and on slides shows, publicity information and past history booklets. 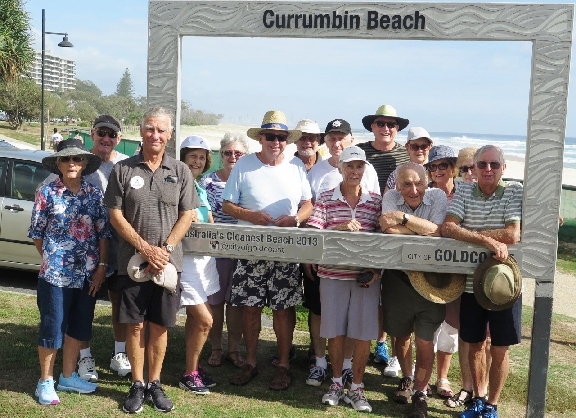 Once again sixteen members enjoyed a great Beach walk from Tugun to Currumbin Creek (Alley). 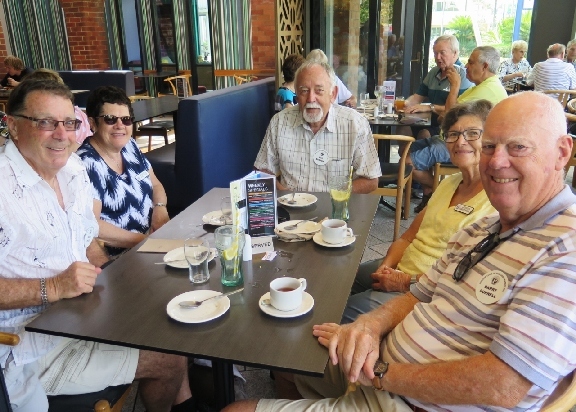 Coffee & chit chat was also very enjoyable over a welcome sit down at the Tugun Surf Club. 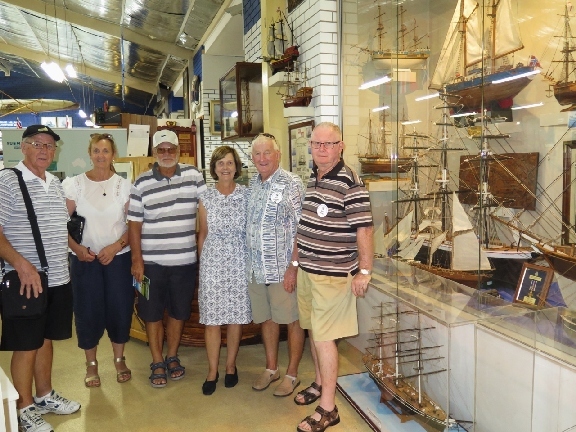 On the 4th of February 37 members went by bus to check out the Ballina Maritime Museum. 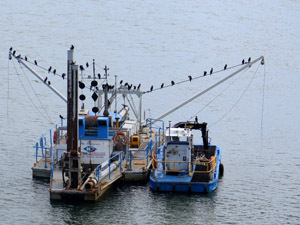 The main attraction was the Las Balsas Expedition. In 1973 these rafts were credited with “the longest raft voyage in history”, sailing from Ecuador, South America to Ballina. There is over 150 naval and merchant ship models, seafaring history, naval uniforms, and an extensive range of other maritime displays. The models showed the change from dugout canoes, rafts, to the steam and sailing vessels of today. Lunch called, so we departed to the Ballina RSL where a nice lunch was served. After lunch Phil, our entertaining bus driver, took the scenic route home through northern NSW taking in Lennox Heads, Byron Bay and Ocean Shores to name a few. Congrats to our bus driver for a great day. 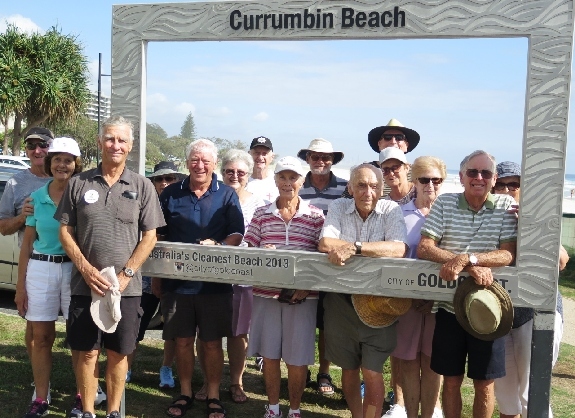 Twenty members met at Tugun Surf Club (a new record number). The new Ocean Walk Way from Tugun to Bilinga was a great walk. The house built by Mick Fanning stood out amongst the many impressive beach side homes & high rises along the way. This newly opened walkway, now means you can walk, cycle or skateboard, all the way from Currumbin to Coolangatta. 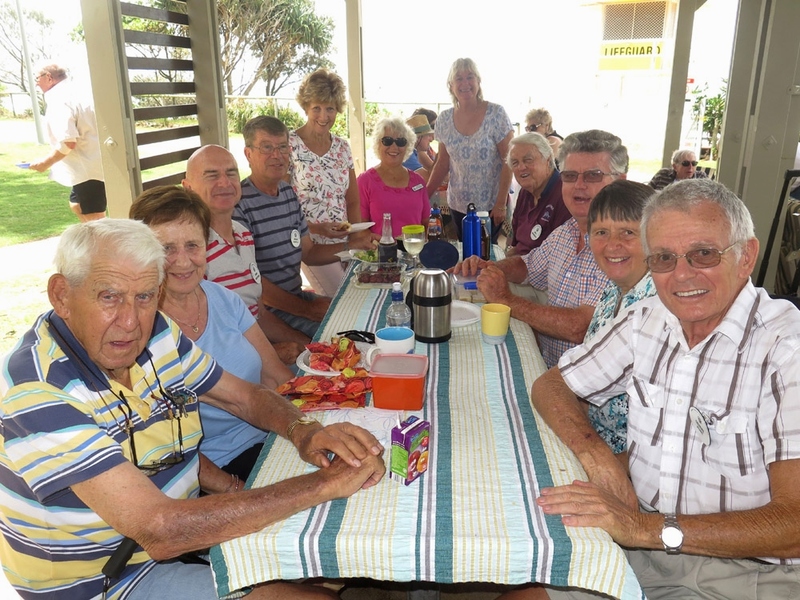 Coffee & “Chit Chat” was enjoyed by all at the Tugun Surf Club. 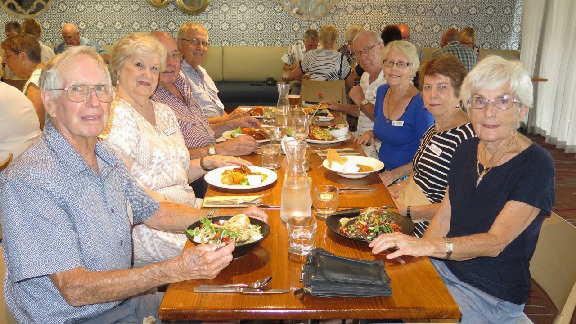 Thirty nine people enjoyed a very pleasant luncheon at the Currumbin RSL on Monday 7 January 2019. Due to the hot weather conditions we moved from the verandah area to an air-conditioned room inside the dining room area. There was a very friendly atmosphere within the room with everyone mixing and at times the noise of laughter coming from some tables became a little loud. The food was excellent and very reasonably priced. The only reported complaint came from one male member who said (with tongue in cheek) that his meal was too large. Thank you to all who attended. 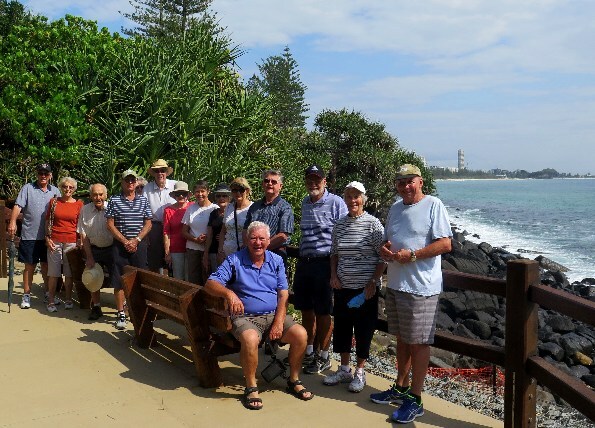 On our last walk a group of sixteen crossed the bridge over Tallebudgera Creek and walked around Burleigh Headland on the nice newly surfaced track, and returned to the car park to relax and chat over hot drinks. 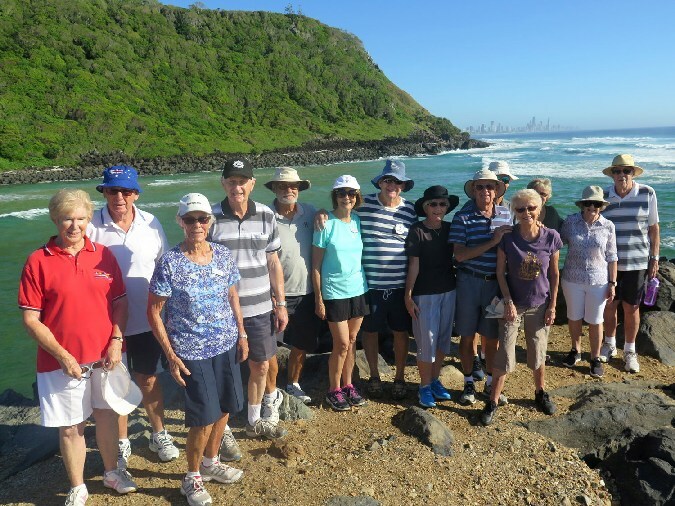 The next walk will be at 8.00am on the Jan 14th, meeting at Elephant Rock, Currumbin. All members welcome. 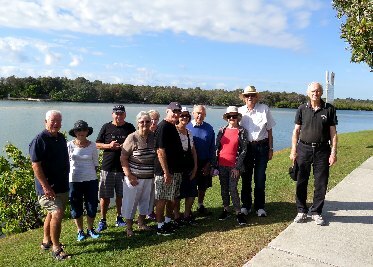 A very enjoyable walk was shared by seventeen members around the lakes at Lakewoods, Elanora. Much comment was made regarding this pristine and very much unknown area of Parkland & housing, developed by ‘Eddie Kornhauser’ about fifteen years ago. 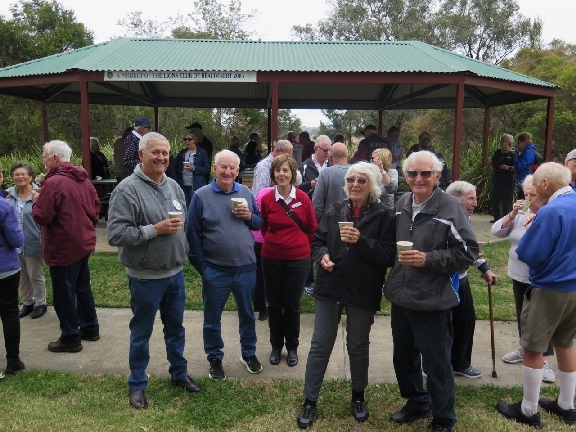 Coffee & Chit Chat was enjoyed at the mobile Coffee Shop in the car park of Tally Valley Golf Club. The next walk will be around the Burleigh Headland, parking & meeting at the Tallebudgera Recreational Centre at 8 am on the Dec 10th. All members welcome. 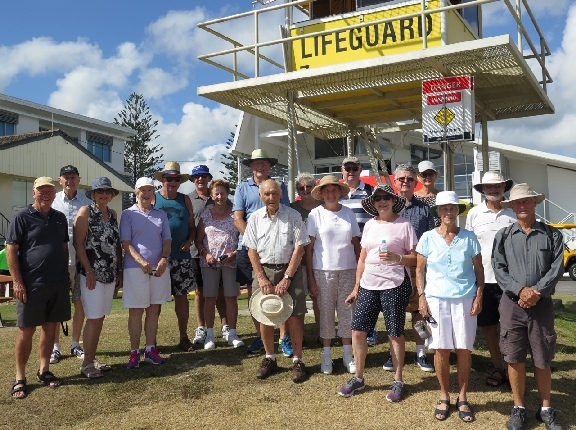 Fifty one members and three visitors supported our activity to Byron Bay on Monday 5th November. Despite a real problem to find a park for the bus, we enjoyed morning tea at Brunswick Heads in front of a not so happy local resident’s house. We then travelled on to the NORTH BEACH STATION for a very crowded ‘’SOLAR TRAIN’’ trip into BYRON BAY. After one hour at leisure in Byron Bay, we reboarded the solar train for the return trip to reconnect with our coach for the short trip to Byron Bay Services Club where we enjoyed lunch and drinks. 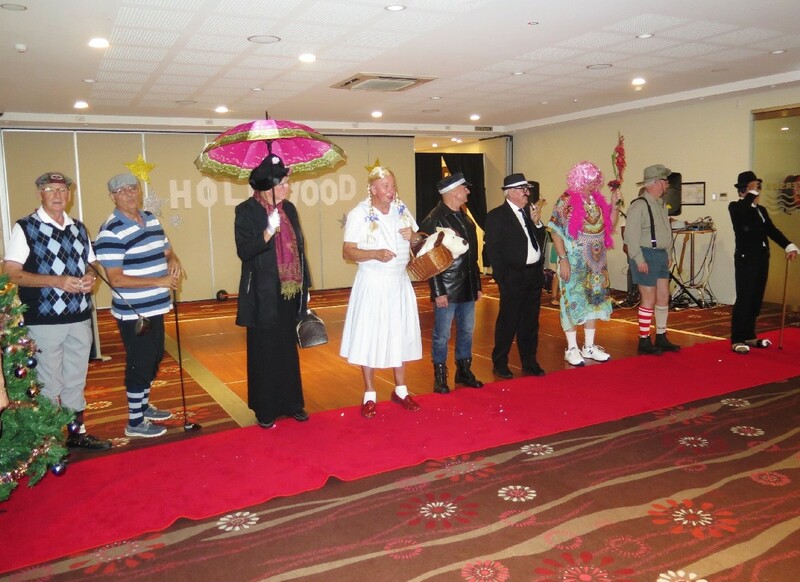 Our committee also used the opportunity to organise Melbourne Cup sweeps. 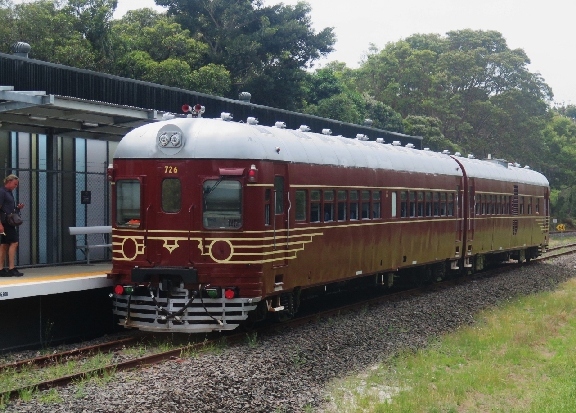 Our return journey to the Gold Coast was via the ‘’ BACK ROADS’’ of Stokers Siding, Mooball, Kingscliff, Chinderah, Tumbulgum and Terranora, then back to Burleigh Waters. All on board enjoyed a very pleasant outing with their fellow Probians. 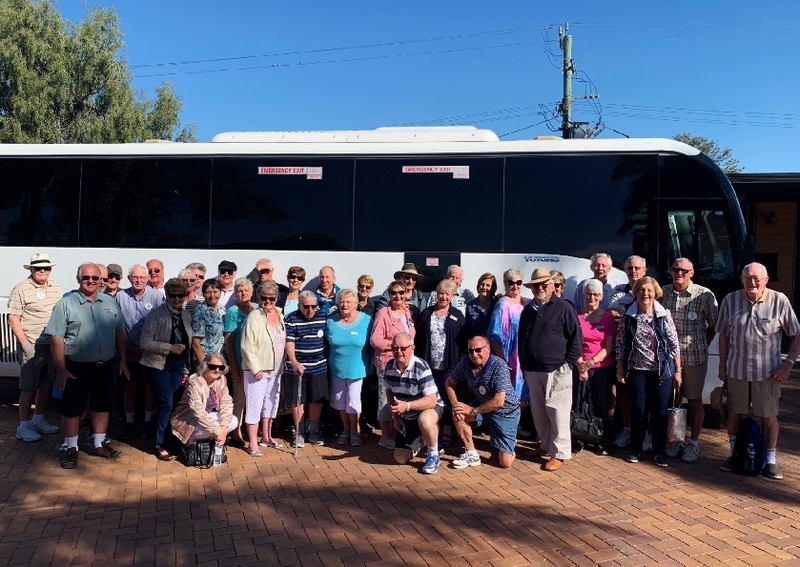 36 members and partners set off on a coach tour of South West Queensland and Lightning Ridge, stopping at Gatton Information Centre where we had home cooked scones, jam and cream and fruit platters, then on to Goondiwindi for lunch at the Railway Hotel. In the afternoon we called into Nindigully Hotel for a drink stop and to watch the final quarter of the AFL grand final. We arrived at St George late in the afternoon and checked into the Marino Motel where we enjoyed an excellent meal and then had an early night. On Sunday we went on a guided tour of St George, and called into Riversands Winery for morning tea and wine tasting. 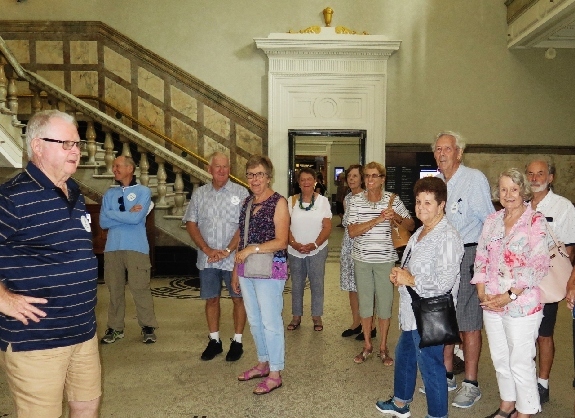 We then into Hebel and had lunch at the Hebel Store, and arrived in Lightning Ridge about mid afternoon and visited the Information Centre, then our coach diver, Allan, took us on brief tour of the town and a visit to John Murray Art Gallery. 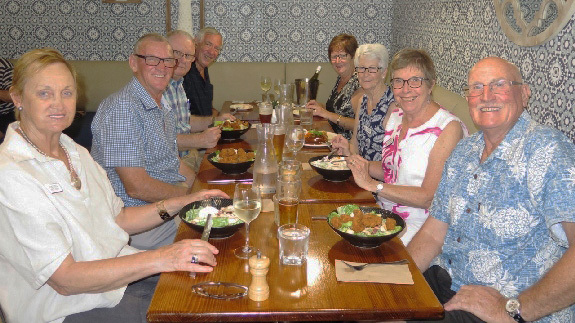 We enjoyed excellent dinners at our motels, the Wallangulla Motel and the Lightning Ridge Resort. On Monday our guide Chuck took us an extensive tour of Fred Bodels Hut, and we also toured the oldest miner’s camp of Historic Three Mine Flat, Lunatic Hill Open Cut Mine. We had morning tea at Black Opal Tour Centre where we were given an informative talk on opal cutting and the famous black opal. Next we visited Simmons Hill Opal Fields, miners camps, the Astronomers Monument, Amigo’s Castle and the house of bottles. Lunch was back at Black Opal Tour Centre and then we visited the amazing Bevan’s Opal Cactus Gardens, and the Chambers of the Black Hand which is a disused opal mine. We were given hard hats and had to negotiate eighty four steps to get to the bottom where we found hundreds of incredible sculptures which apparently the self taught artist carved by using only a spoon and knife. Some then went to the 46°C artesian spa for a refreshing dip, and we had delicious dinner at the local Bowling Club. On Tuesday we started our homeward journey, and called into Collarenabri Hotel for morning tea, but the town is in a pretty desperate situation with the majority of shops having closed down as a result of the severe drought. 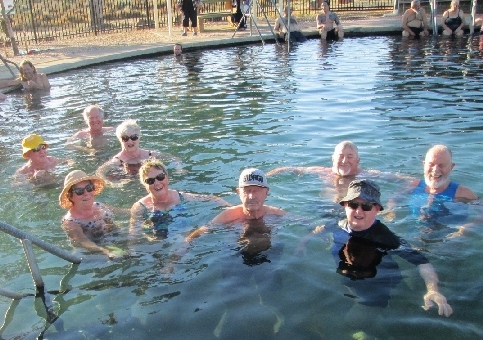 On the way to Goondiwindi we had an excellent lunch at Moree Golf Club, and then some went shopping and others had a dip in the hot pools. We arrived at Goondiwindi late in the afternoon and again had an excellent dinner at our motel. 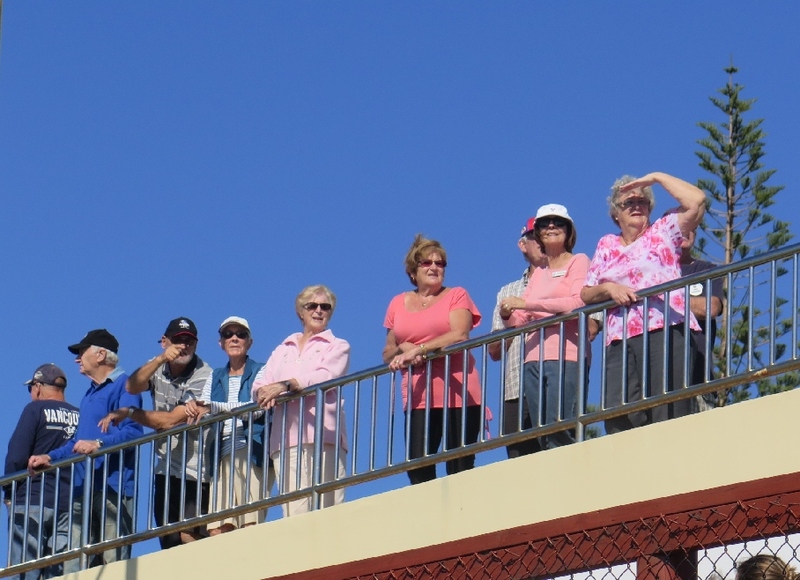 After breakfast on Wednesday we had a guided tour of Goondiwindi and some of the cotton farms in the area. We were amazed to see conditions that the drought has caused, with failed and stunted crops. We also saw one dam that was capable of holding the equivalent of 1,500 Olympic size pools which was virtually empty. 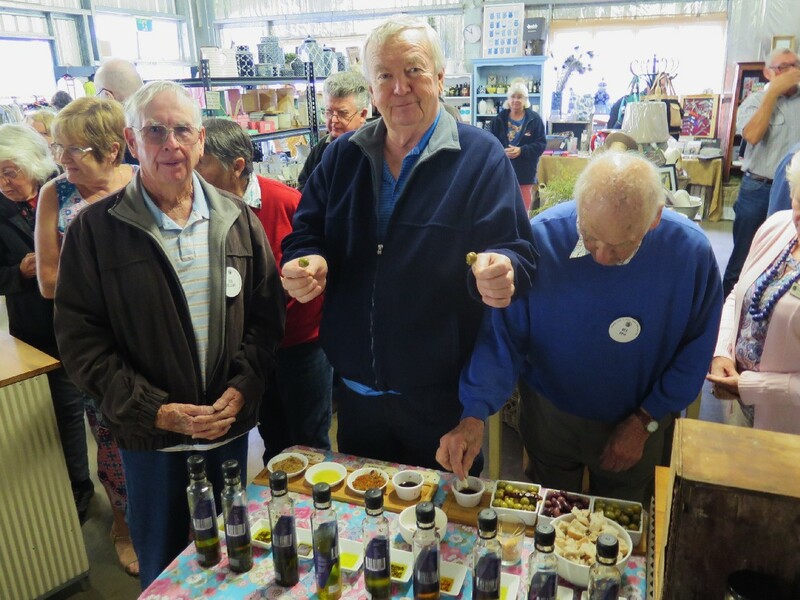 We were taken to the Goondiwindi Cotton Centre, and then onto Coolmunda Olives near Inglewood, for another amazing morning tea and to purchase olive products. We headed to Warwick for lunch and a tour of the magnificent two story Glengallan Homestead which dates back to 1860, and is gradually being restored. We arrived back at Burleigh Heads around 6.45pm, all very tired but very happy. We were able to see first hand the plight of the country people and it was quite an eye opener for us. We were also amazed at the resilience of these people with their “it’ll be ok when we get some rain” attitude. Old friendships were cemented and new ones were formed. All who went on the trip agreed that it was worth the cost as all meals, accommodation and tours were included in the price of the tour. Special congratulations go to Allan Foster of Granite Highlands Maxi Tours who organised the tour itinerary and acted as coach driver and gave informative commentary. He was also extremely helpful and nothing was too much trouble to him. 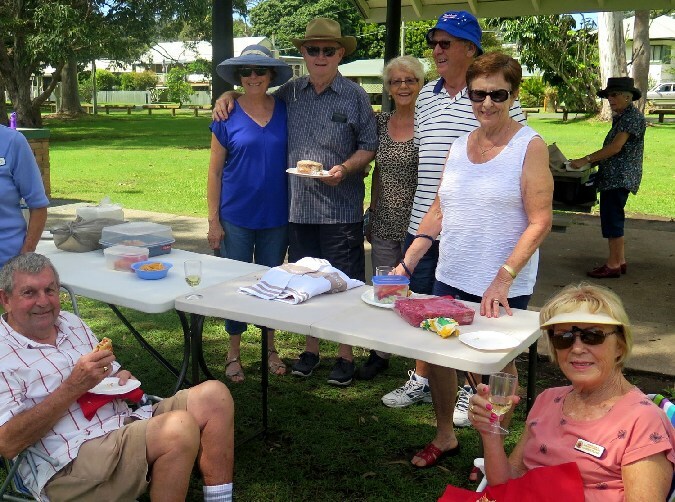 Twenty six of us enjoyed a relaxing BYO Picnic Lunch at Preston Park, Currumbin on 1st October. The circle gradually grew larger as each additional couple arrived on this lovely sunny holiday Monday. The yummy goodies doing the rounds were suitably dealt with during the day. At one stage two dolphins in Currumbin Creek glided past. To top off the day Ngaire also recited two humorous poems which sh had written, The Cake Stall and The Gym. Once again, we were treated to a fabulous sunny morning. Walking from Greenmount (Coolangatta &Tweed Surf Club) to Point Danger lookout and back. 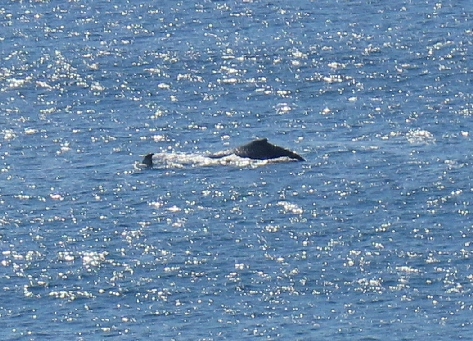 Several Whales were spotted and also, some Water Dragons along the way. It was good to see sixteen members enjoying the opportunity. The views were outstanding! Coffee & Chit Chat was further enjoyed, back at the Surf Club Kiosk. The next walk will start from the Aldi carpark in Christine Ave, Varsity Lakes on 8th Oct at 8 am. All members are welcome. After a delay caused by heavy traffic, fifty seven members left for our day out in the beautiful Scenic Rim country. 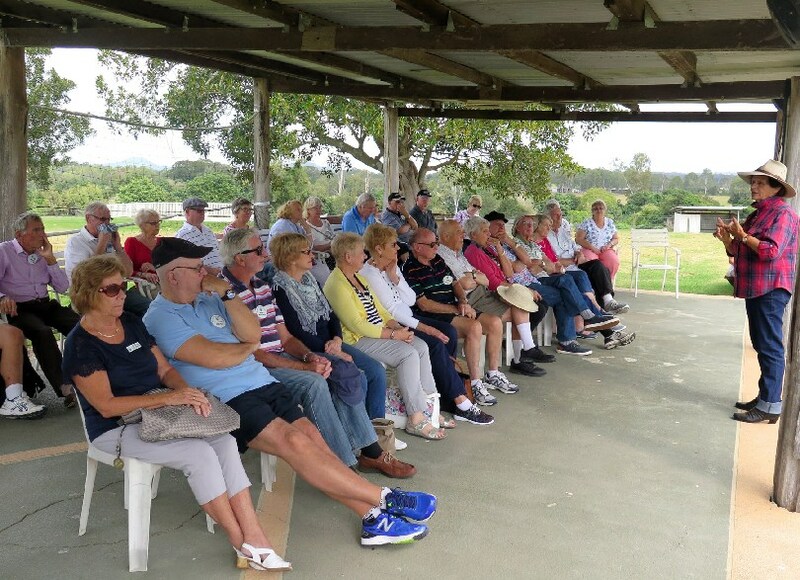 Our first stop was at The Lions Bicentennial Park at Beaudesert for our tea or coffee, biscuits and anything else you needed to do. Onto the Scenic Rim village of Rathdowney where we had a visit to the Rathdowney Museum and Information Centre, which was very interesting. Our next stop was the Shed Cafe at the Rathlogan Olive Grove. This is situated in the foothills of Mount Barney, and we had a great view of nearby Mt Maroon. After lunch, tastings of olives, balsamic vinegar, dukka, etc., and many purchases of the local products we headed back to Beaudesert. We spent an interesting time at the Beaudesert Information and Arts Centre and again many purchases were made, then we headed for home. The bus trips are becoming very popular again, as we had a full bus, plus four members were on the waiting list. 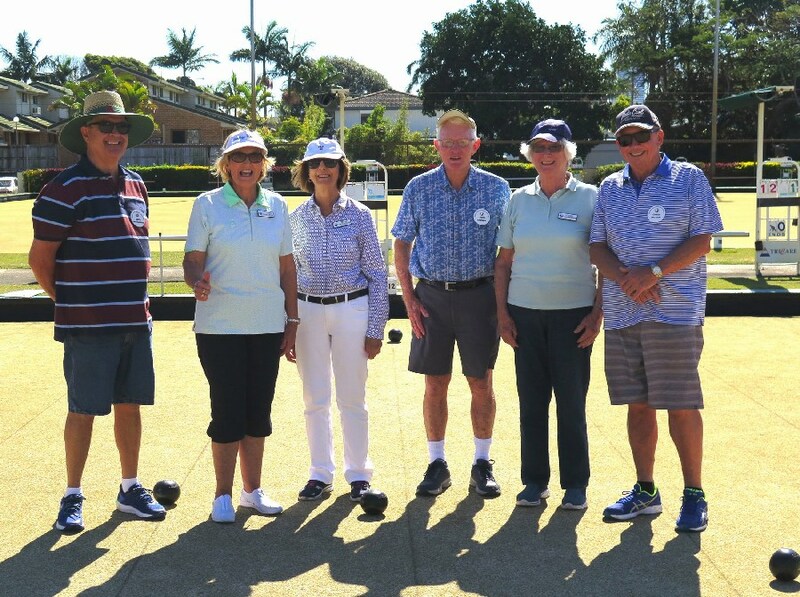 Thirty four “bowlers” and six spectators attended the barefoot bowls morning at Mermaid Beach Lawn Bowls Club on Monday, 6th August. Under perfect Gold Coast skies the games were played in friendly spirit with lots of laughter and good fellowship being the order of the day. There were some good bowls and some not so good bowls put down during the morning, but no one minded. There were no winners or losers on the day with fun being the winner. The meals that the Bowls Club provided were excellent and judging by the comments of many, this could be on the agenda in the future. Thanks to the Activities Team for organising yet another successful event. 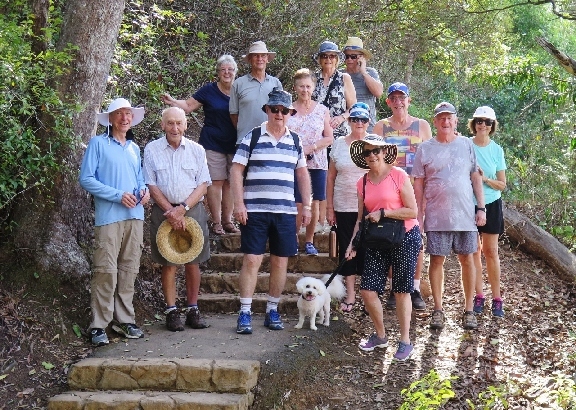 It was great to see Fifteen members and Two (Miller) Dogs meet at Gecko House, Currumbin, for a very enjoyable walk eastward, down to Currumbin Alley and a little beyond. Then back for Coffee & chit chat at the Boat Shed Cafe Coffee Shop. A group photo was taken with the Bronze Lady on the sea front. Another group photo was taken with the Bronze statue of the founder of the old ‘Playroom’ (Memories !!) The weather was fantastic and not a cloud in the sky. The next walk will start from the “Pirate Park“, carpark at the southern end of Palm Beach (Gold Coast Hwy) at 8.30 am on 13th August. All members & doggies, welcome. 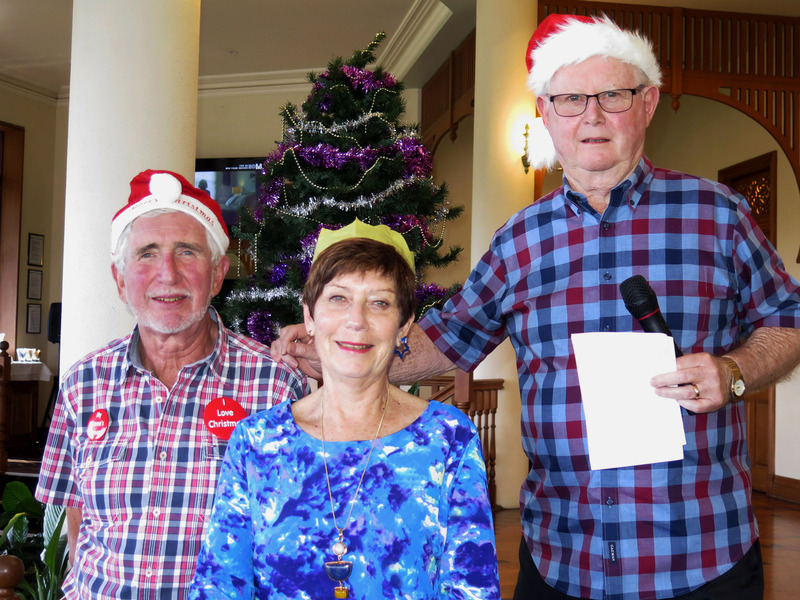 Sixty six members and partners attended the Christmas in July luncheon held at Palmer Colonial Golf Club on Monday 2 July. Judging by the interaction between most of those who attended, it was a very successful day. The food was plentiful and of excellent quality, if fact there were some comments that there was too much food. Jill Crawford won the lucky door prize of a bottle of champagne. The trivia quiz was a closely fought competition and it came down to a toss of the coin between Jan McMahon and Barry Paton to decide the winning table. The toss was won by Jan McMahon whose table members each received the wonderful winner’s prize. Thanks to all the members of the Activities Committee for organising another great activity. Another beautiful morning for a fabulous walk. 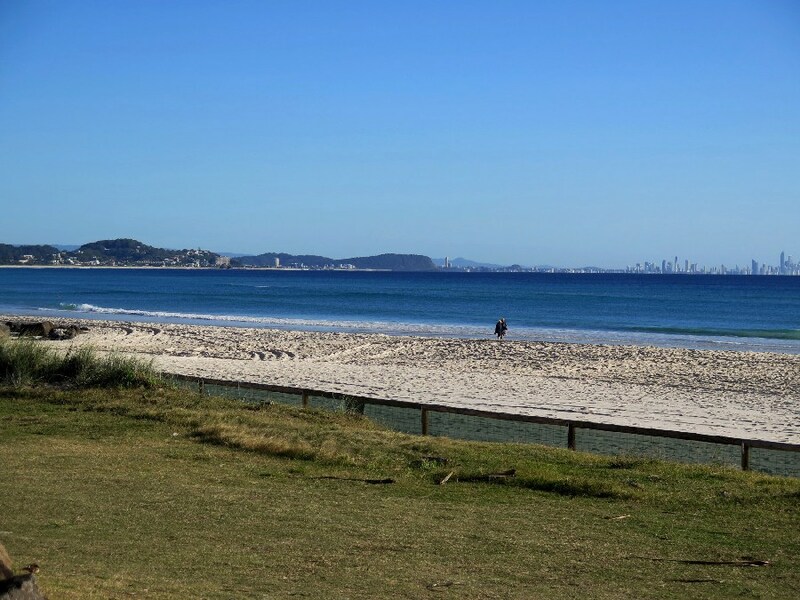 Seventeen members walked North from Kirra Surf Club. No whales to be spotted on this occasion. However, a great photo stop alongside a giant Koala was managed – “Brian has the evidence”. Coffee & chit chat was enjoyed by all at the Nirvana Cafe. 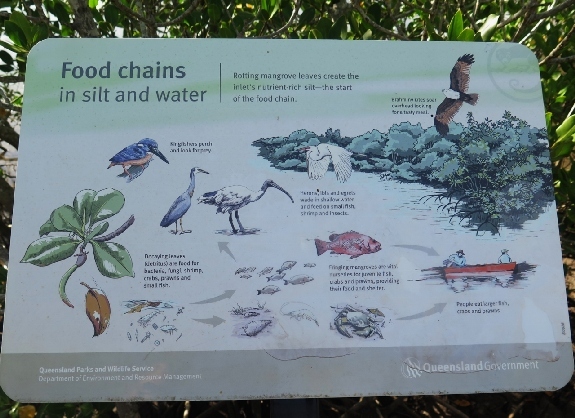 The next walk will be starting at Gecko House (public car park) Currumbin Creek. South side of Throwers Bridge at 8.30 am on 9th July. All members are welcome. 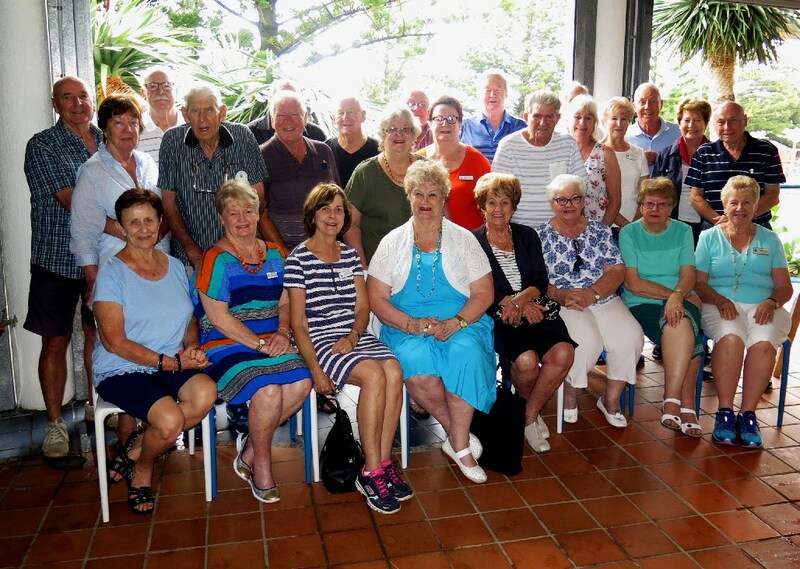 57 would be pilots and partners boarded the Brisbane Airport coach on Monday 4th June. 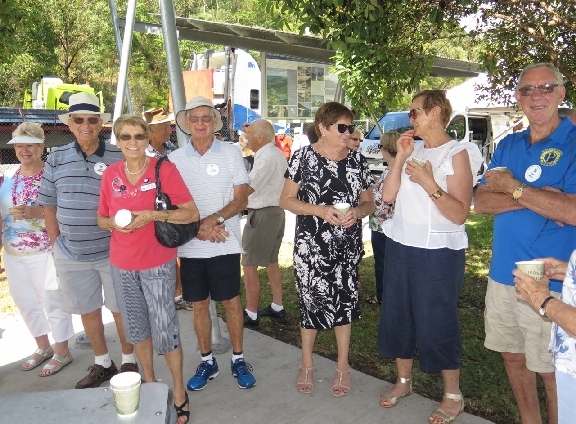 We started with an enjoyable morning tea at Logan River Parklands, just outside Beenleigh. Back on board we made our way to the Brisbane Airport Corporation Head Office where Jessica Shannon came on board and directed our driver around the airport. Jessica’s vast knowledge was put to the test as we drove around the airport and passed terminals and many hangers. Highlight was stopping at aircraft spotter corner. We alighted from the bus and soon spotted a large number of international aircraft (Air Canada, Air China, to name a few.) We continued our tour and had time for a wee break at the International Terminal. Jessica was a fount of information and answered many questions. We said goodbye to Jessica and headed for lunch and drinks at the famous Breakfast Creek Hotel. After lunch Phil our very capable driver headed for home arriving around 4.00 pm. All members agreed the day was a great success. Good to see Seventeen members, meet for a very enjoyable walk from Miami Beach heading North to Wave St & back. Not a cloud in the sky !!. Coffee & Chit Chat was enjoyed by all, at Piccolo Espresso, Miami Surf Club. The next walk will be starting from the Kirra Surf Club (Pizza Hut) at 8.30 am on the 11th June. All members are welcome. Forty nine members and partners set off on a tour of Albert River Wines on Monday 7th May under threatening rain clouds. Fortunately the rain held off until we were on our way home. 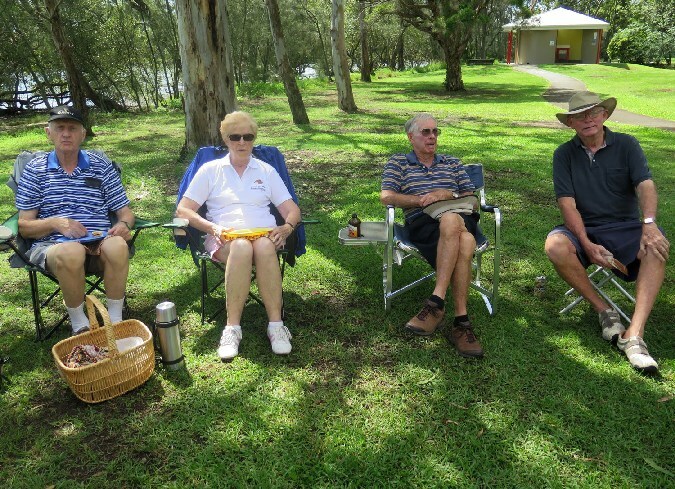 Peter, our driver, took us to a nice little park at Hinze Dam for morning tea on the way. He then stopped at Canungra long enough for some of the ladies to do some shoe shopping. We arrived at Albert River Wines around 11.00am and were given a brief talk about the history of the place by our tour guide, Yvonne. We then toured the historical Tamborine House and chapel, with Yvonne entertaining us with more history and amusing stories. Next we watched a demonstration of sheep dogs rounding up a flock of sheep. 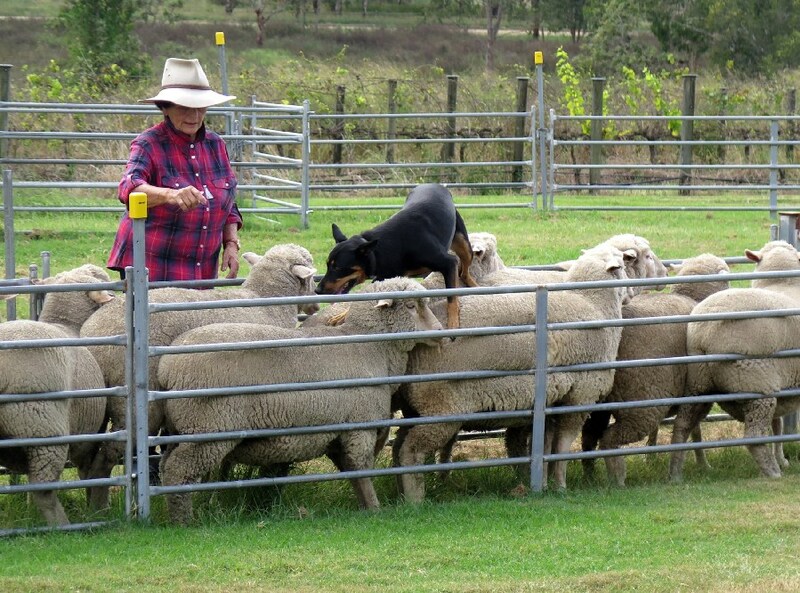 The majority of us believed the sheep were better trained than the dogs. Some of the group then tried their hand at whip cracking, with surprisingly good results. We then enjoyed a two course meal and drinks and after all were satisfied we headed for home. 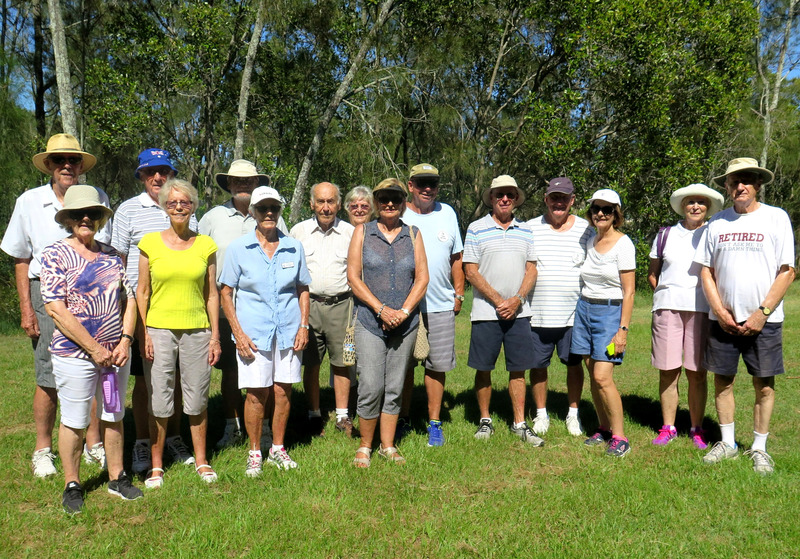 The walk out on the Tallebudgera Creek groyne and along the foreshore of northern Palm Beach on a sunny 9th April was enjoyed by 15 of our Walkers, followed by a relax over hot drinks by Tallebudgera Creek. For the Walk on Monday, 14th May, meet by Miami Beach Surf Life Saving Club, 2 Hythe St, Miami, at 8.00am. All welcome. 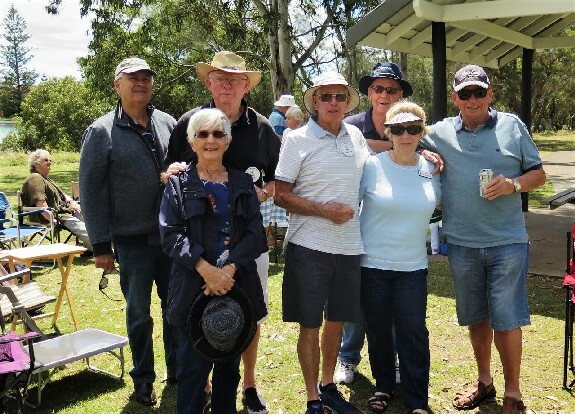 “Despite the uncertain weather, twenty three members and partners enjoyed what turned out to be an excellent picnic at Preston Park on Monday 2nd April. Everyone joined in and had lots of fun and shared good fellowship. The home cooking that some of the ladies brought along was absolutely yummy. I am aware of some who may have over indulged a little. We all look forward to having a similar outing in the near future. Another successful Activities Committee function”. On Monday morning, 5th March, 50 sailors met Capt. Hank of The ‘Rum Runner’ Boat Cruise in the foyer of the Ramada Hotel on Hope Island. Once on board Capt. Hank told us where all the important features of the boat and this allowed 2 of Peter Pan’s Lost Boys to arrive fashionably late. 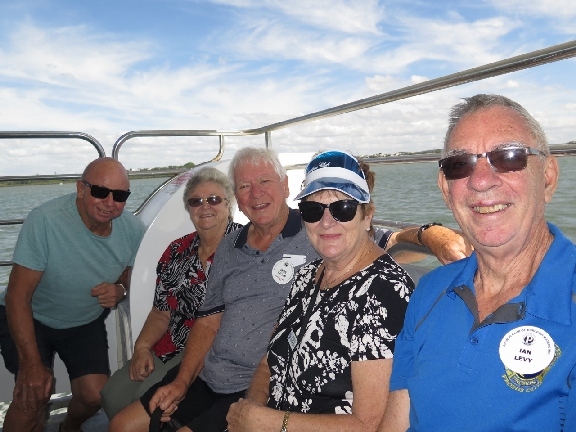 Our cruise on the Coomera River and Broadwater took in the dwellings of the rich and famous of Sovereign Island and the natural waterways of Sanctuary Cove and we finished back at Hope Harbour. The Kangaroo crossing sign in the Coomera River and the luxury yacht ‘Dragonfly’ were also items of interest along the way. After thanking Capt. Hank and crew, we made our way to the ‘all you could eat’ buffet at Saltwater Creek Hotel Bistro. All concerned agreed no dinner was needed that night. 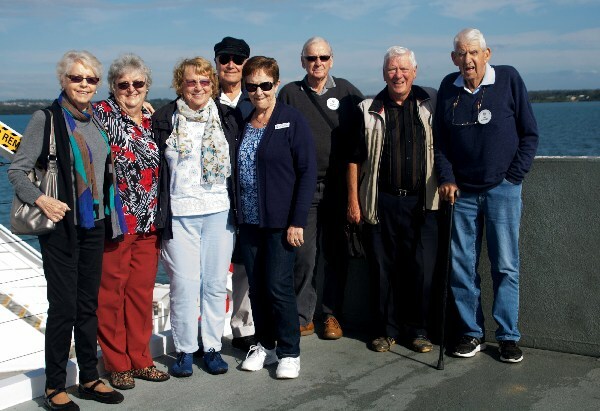 Fifty one members and partners boarded the Port of Brisbane coach on Monday 5th February with expectations of a day filled with fun and adventure. Nobody came home disappointed. We had morning tea on the way at a beautifully kept recreation park in Logan. Thanks to our coach driver our itinerary was changed. He took us on a guided tour through the inner city of Brisbane then off to the Breakfast Creek Hotel where we enjoyed a beautiful lunch and drinks. We then headed off to the Port of Brisbane where we met our tour guide, Peter (also arranged by Wally). 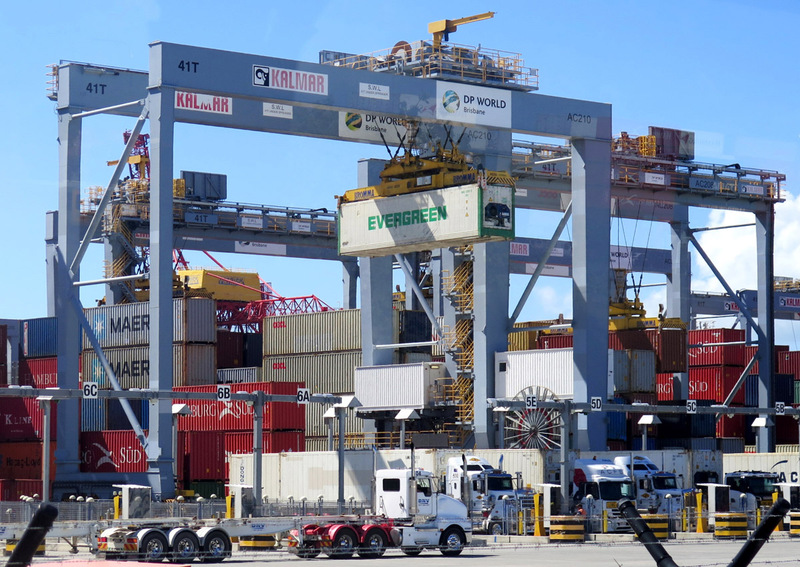 Peter has been with the Port of Brisbane for almost forty years and he gave us a very informative tour of the complex and answered many questions from the members. We arrived back home around 5.00 pm well satisfied with our day’s adventure. 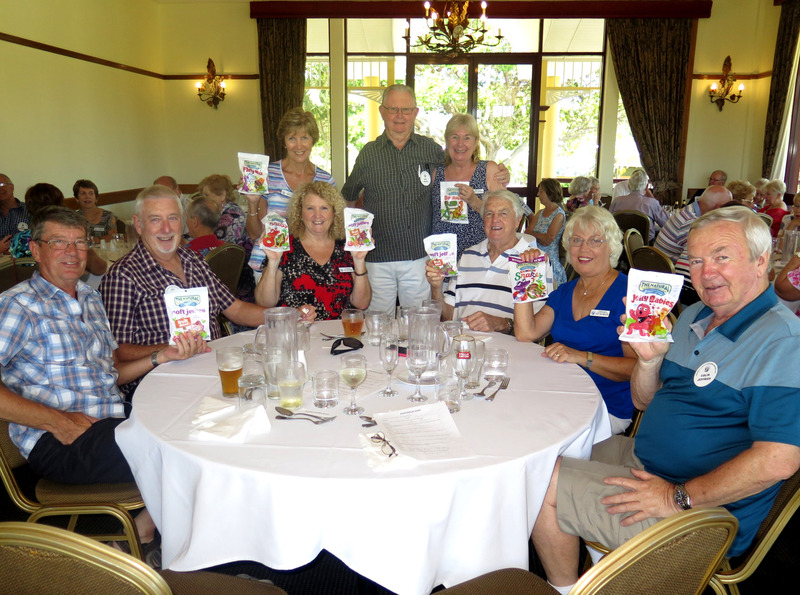 Fifty four members and partners enjoyed a very pleasant luncheon at the Palmer Colonial Golf Club on Monday 8 January. The venue was set in the beautiful surrounds of the golf course. The atmosphere and fellowship shared by everyone was extremely pleasant with people mingling throughout the day. Overall the meals were of good quality. The Australia trivia quiz was hotly contested with the table of “The Newbys” supported by the Jeffries coming out on top with a perfect score. Merle Knowles was the winner of the lucky door prize of a bottle of champagne. It was very pleasing to the Activities Committee to receive positive feedback on the function after all the hard work that went into organising it. 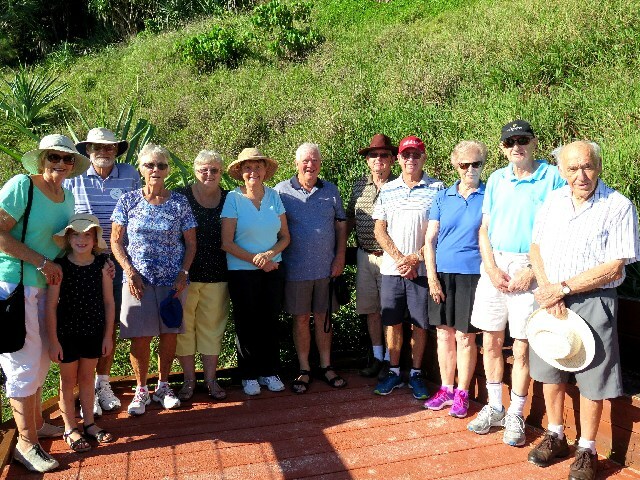 16 members walked from the car park in Duringan St, Currumbin, adjacent to The Boatshed Café, heading west along to the old railway bridge, just past The Currumbin RSL Club, guided by Rex Dell and then up past a Council BBQ facility, then returned, to cross the Creek via the new pedestrian bridge to the Northern banks and then back South across the Creek via the Thrower Bridge to The Boatshed Café for a coffee and a good old chat. Once again, we were treated to Rex Dell’s knowledge of the area. He advised us that The Thrower Family Trust donated Thrower House for the local Latch Key kids in the area. 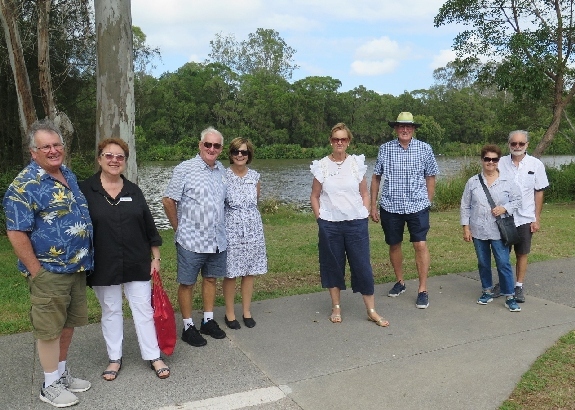 14 members enjoyed the walk along the Currumbin Creek from the car park near Gecko House, over the new bridge and back along the boardwalk, over the old bridge and had coffee at The Boatshed Café, where we were entertained and informed by Rex Dell. 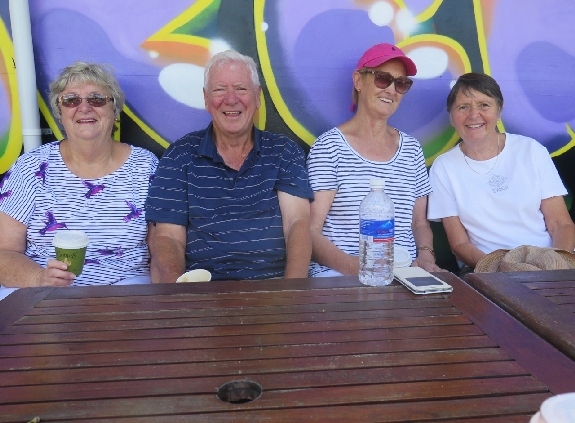 The next walk will be on 8th January at 8.00am, and will start at the car park in Duringan St, Currumbin, adjacent to The Boatshed Café, and then along to the old railway bridge past the Currumbin RSL, and returning to The Boatshed Café. 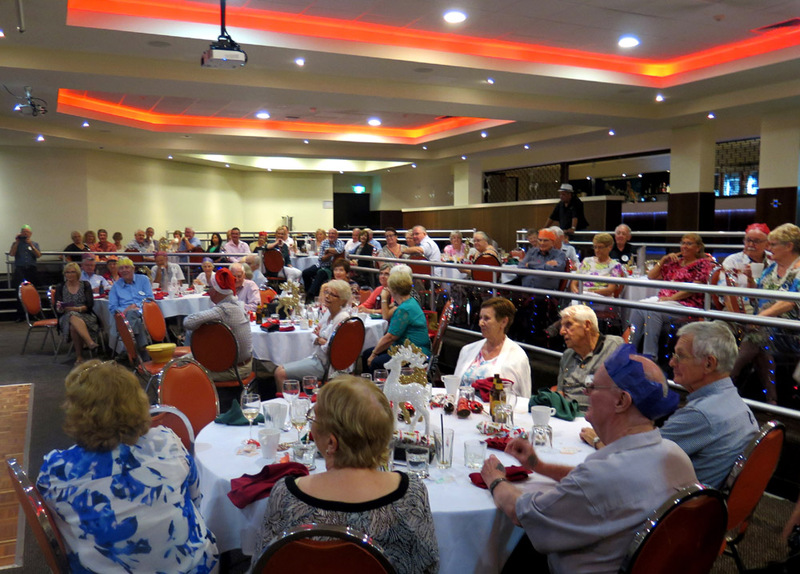 Eighty four members and partners attended our Christmas Party at the Quality Hotel, Mermaid Waters with high expectations that the night would provide great comradery, a pleasant venue, sparkling entertainment and excellent food. We managed to get three out of four. Unfortunately it was the food that was not up to standard. It was pleasing to see that many who attended mingled and seemed to thoroughly enjoy the night, particularly “the Newbys”. 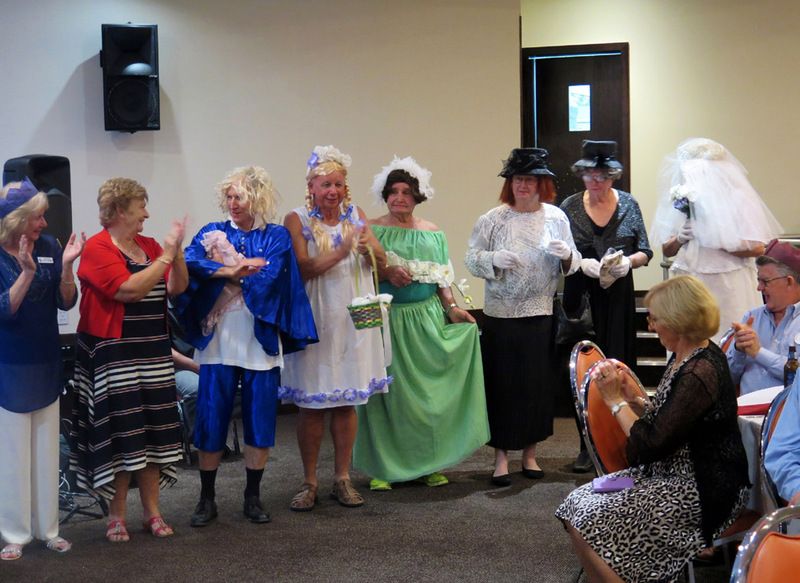 The Fashion Parade was a big hit with everyone, thanks to the class that was added by the glamorous “International Models”. Also the local models held up their end. A big thank you goes to Junette and Jenny for their tireless work and keeping the temperamental models on track. They were ably supported by Leonie and Carolyn. Also special recognition goes to Lyn Wicks and Maxine Nicholls for preparing the hampers for the raffles. A big thanks to everyone who contributed to making the evening a success. 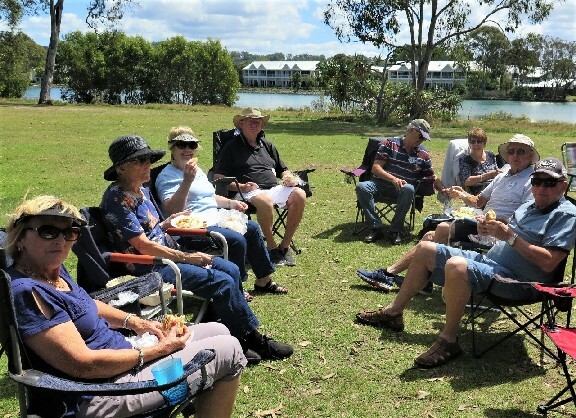 A total of fifty seven members and partners, including some prospective members, attended the barbecue/picnic lunch at the Burleigh Esplanade Park on Monday 6th November. From all reports and judging by the noise coming from the group, everyone had a very enjoyable time. To set the day off, all were treated to a sumptuous meal of sausages, onions, bread and a variety of sauces prepared by “Master Chefs” Bill and Des. Congratulations to the Activities Team for choosing such a magnificent venue and for putting on typical beautiful Gold Coast weather. It was a beautiful, sunny morning at Tallebudgera. 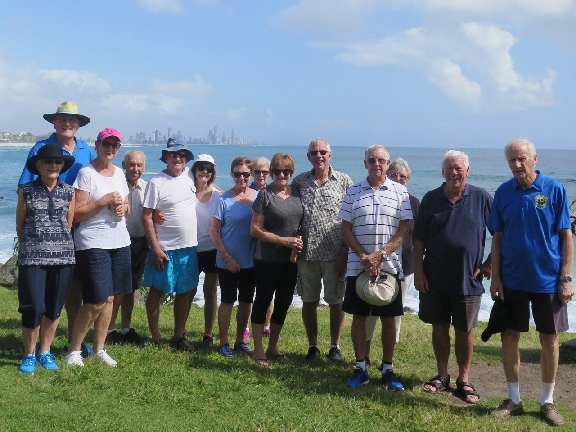 Fifteen enthusiastic & “FIT” members met & walked around the Burleigh Headland to Goodwin terrace and return. The new pathway & landscaping is great on this ocean view walkway. On route we spotted snakes (Python), fish in the creek, water dragons & a variety of birds. Coffee & chit chat was once again enjoyed by all at “Bam Bam” coffee shop. Great to have Fay H. back in the walking group. 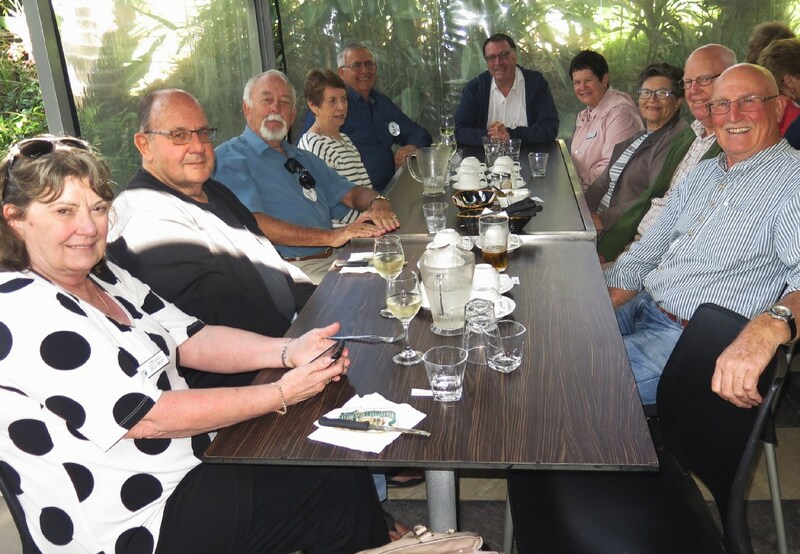 Thirty four members and guests enjoyed their interstate trip to Danny’s Restaurant at the Coolangatta and Tweed Heads Golf Club. The fact we were the last table to leave the restaurant was probably a good sign that everyone was enjoying the fellowship and the food. 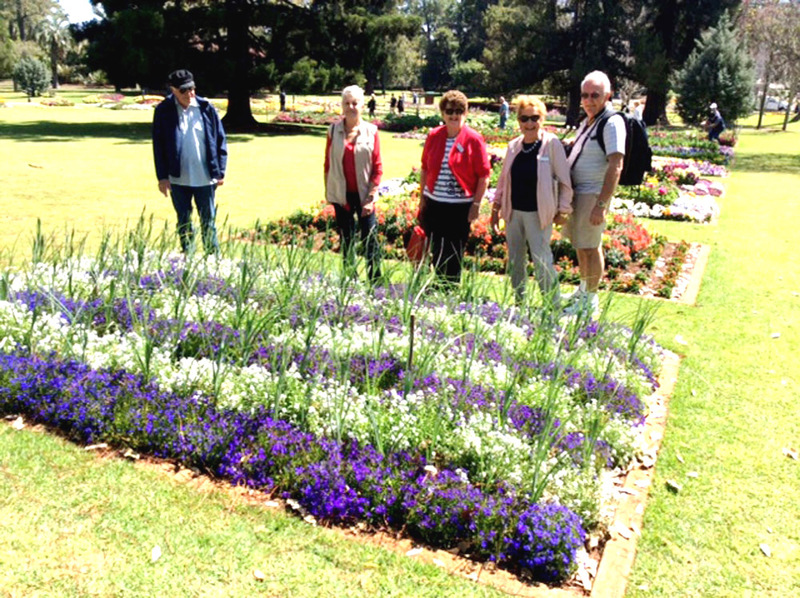 On 4th September, 35 “Sweetpeas” joined Wally, our very informative bus driver, for a great day in Toowoomba. The day was all about the Flowers!! We made our way to a very scenic picnic spot at Lake Apex in Gatton for morning tea. Wally pointed out a memorial dedicated to truck drivers killed in the course of their work. Next stop, Picnic Point in Toowoomba, great views overlooking Table Mountain – a taste of what was coming – Flower Power!! Before lunch, a stop at the Botanical Gardens where a great show was on display. A tasty lunch at the City Pro Golf Club and then onto another outstanding floral display at Laurel Park. A friend of Wally’s opened his competition garden for us to walk and admire and ask many botanical questions. A big thanks went to Wally’s mate. Time to head home and all agreed what a great day it was. Many Thanks again Wally. It was a beautiful sunny morning at Greenmount. 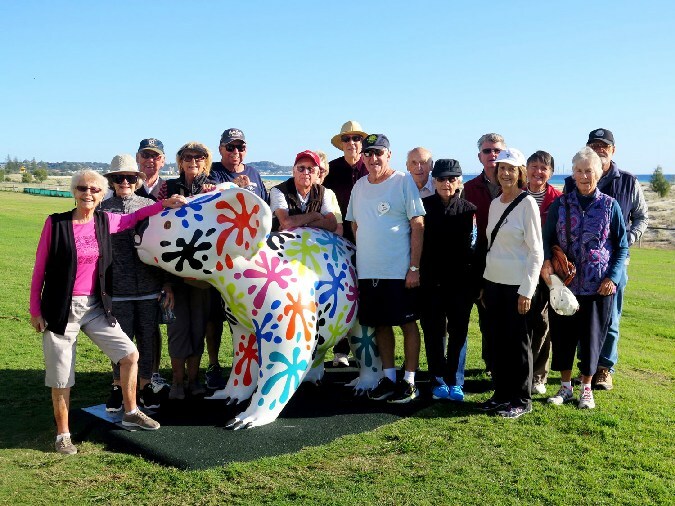 Twelve enthusiastic members met and walked in a southerly direction around Jack Evans boat harbour. Following the Tweed River we all enjoyed the running commentary from our Tour Guide Rex Dell who once again shared his vast knowledge of this area. 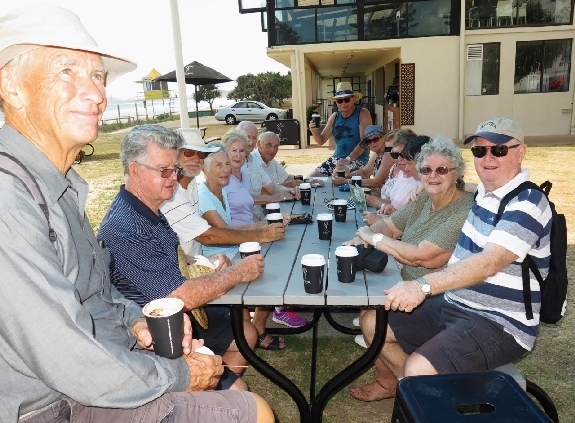 Coffee & Chit Chat was enjoyed by all at the Greenmount Surf Club. The next walk will meet at the Currumbin Valley Rainforest car park. (past the rock pool, to where the road ends) on 11th Sept at 8.30am. All members welcome. Whale of a time!!! Peter our bus driver ensured that the 33 early starters made the Stradbroke ferry on time. A relaxing boat trip saw us looking forward to a coffee break which was enjoyed at a very scenic spot on the water at Amity Point. Next stop at Point Lookout, we were all thrilled by numerous pods of whales and a lonesome turtle. 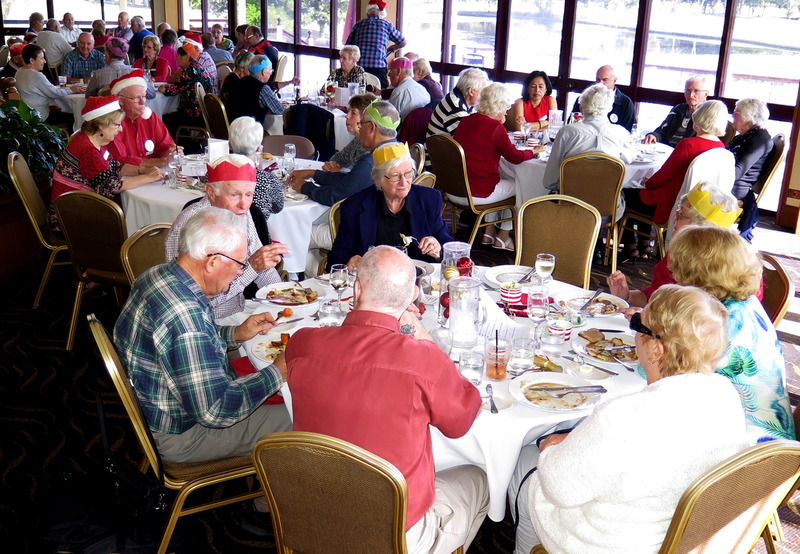 A hectic lunch was enjoyed at Point Lookout Bowls Club. We then made a quick dash back to the ferry. All too soon we made our way home. 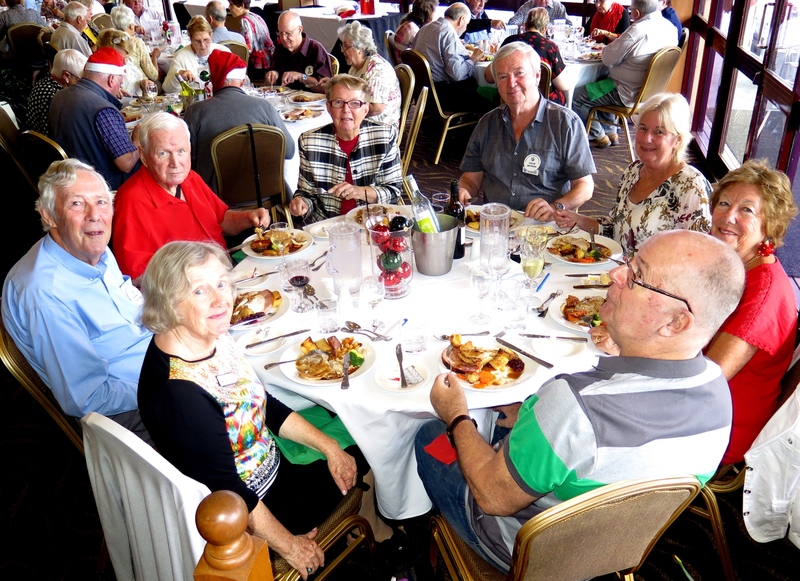 A total of sixty one members, including partners, attended the Christmas in July Lunch at Palmer Colonial Golf Club on Monday 3 July. The Venue was magnificent and the food was more than plentiful and excellent quality. All who attended participated in the light-hearted fun of Guess the Parcel, won by Lorraine P, and a Christmas Trivia Quiz. Although the quizmaster set very easy questions, the scores indicated a lack of Christmas knowledge by all. 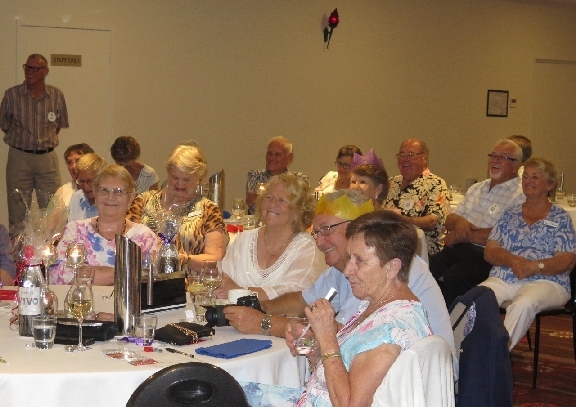 There also was a Lucky Seat prize, won by Lesley M. Judging by the comments made, it appears everyone who attended had a great time and were looking forward to next year’s Christmas in July party. A good contingent of members and wives attended the picnic lunch. It was a beautiful sunny/cool day. We all sat around the tables, full of goodies, while chatting or laughing at various jokes and stories.The Council BBQs were out of action due to the recent floods, so we all brought along sandwiches, cold food and a variety of cakes & cookies. Col C. coordinated the bird watching, while others played petanque. 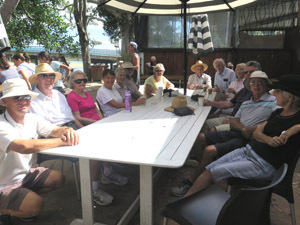 Good to see ten walkers meet at Greenmount Surf Club. 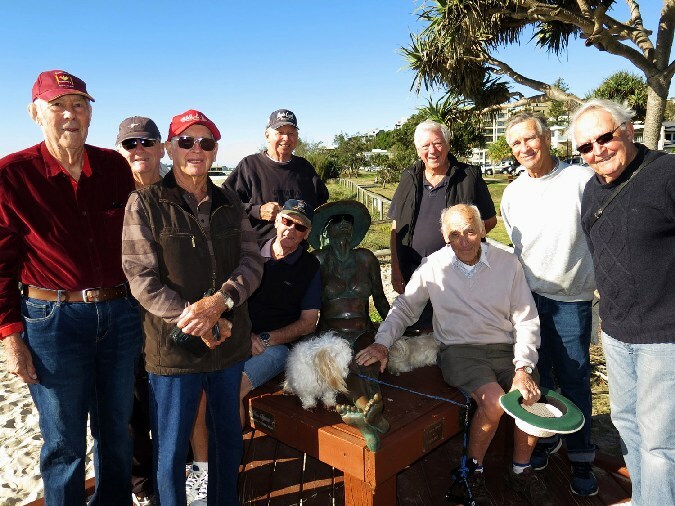 Thank you to Rex Dell for leading us around “Jack Evans” boat harbour to the Seaway entrance to the Tweed River and back to Greenmount Surf Club for coffee and chit chat. Rex gave us a running commentary on local points of interest and was very informative on the local history. Winners of PUTT PUTT at Emerald Lakes A good contingent of members and wives attended the picnic lunch.It was a beautiful sunny/cool day. We all sat around the tables, full of goodies,while chatting or laughing at various jokes & stories.The Council BBQs were out of action due to the recent floods, so we all brought along sandwiches, cold food and a variety of cakes & cookies. 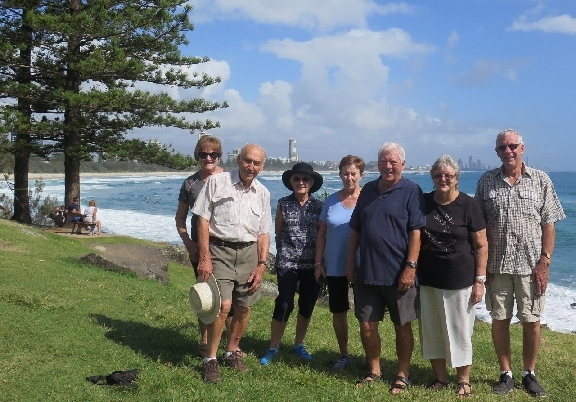 Thirteen members accompanied by Laila Brydon (Grandaughter, of Chris and Leonie), enjoyed a beautiful morning walk from Greenmount Surf Club to Point Danger Lookout, Qld / NSW border. Coffee and chit chat was further enjoyed at the Surf Club. Thirty seven Thomas the Tank Engine followers went to the Ipswich Railway Museum. Fast Ken–the tour leader informed us of many interesting facts about the numerous steam trains that plied their trade throughout Queensland. The trick was to keep up with him. Peter our bus driver made good time and ensured we had morning tea after the tour. Having been refreshed Peter drove us around Ipswich showing us some beautiful old Queenslanders .It soon became time for lunch which we had at Ipswich Brothers Leagues Club. After lunch Peter pointed the bus towards home where a group photo was taken as a record of the day. All agreed it was a good day. Great to see the number of walkers is increasing. 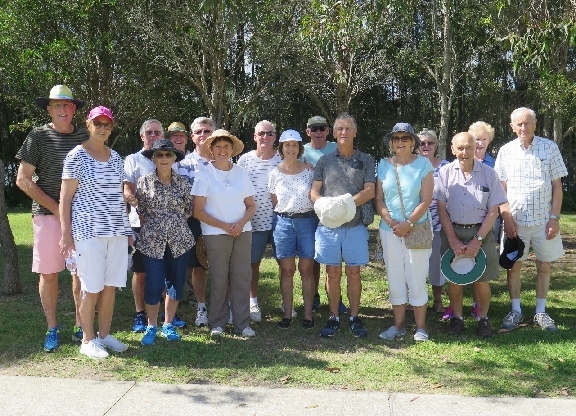 Twelve members enjoyed a most enjoyable stroll around the Boardwalks of Fleays wild life sanctuary & Tallebudgera Creek. On this occasion the tide was high, which enhanced the area up to another level. Along the way Col & Lyn Collins pointed out various types of birds & bird sounds. Koalas were spotted in amongst the trees. Water dragons were also to be seen. Coffee was enjoyed with the usual “Chit Chat” at the Fleays Coffee house. The rain was timely, just as we prepared to leave the car park. It was also most welcome!! 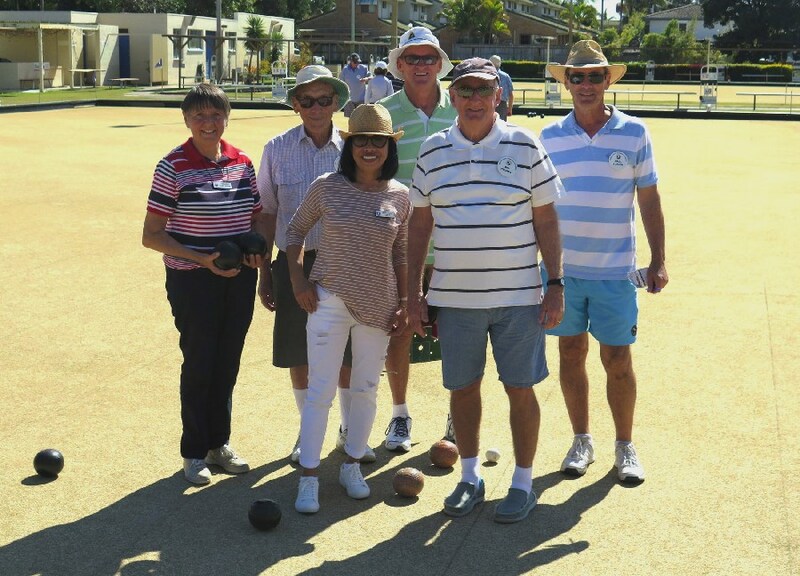 Barefoot Bowls at Robina Bowls Club. A total of twenty four members and partners (and eight spectators) bravely faced the morning heat to try their hand at lawn bowls. To avoid bickering and sledging between partners, they were separated onto different teams and rinks. This arrangement seemed to work well. The purpose of the day was for people to have fun and enjoy the company of those who they would not normally mix with. Judging by the noise and laughter coming from the players there were certainly no doubt that everyone was enjoying themselves. Some of the players showed good skills at bowls but there were also quite a lot of bowls that would be classed as “forgettable”. 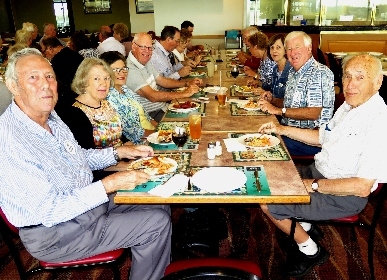 After bowls all members and partners enjoyed a very tasty barbecue buffet lunch in the Robina Bowls Club’s bistro. 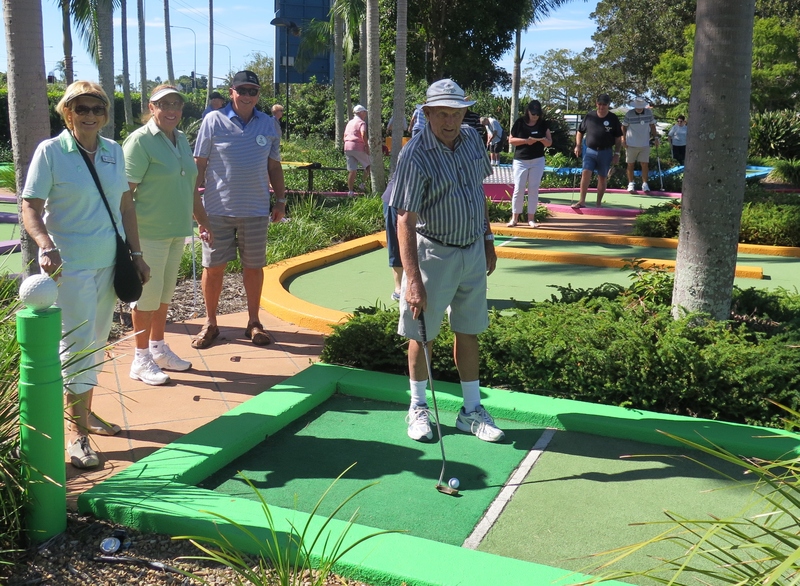 The team with the highest winning margin was Keith C and Kaye P with a score of 25 to 5. Their opposition shall remain nameless. Keith and Kaye also won the prize for the lucky winning rink draw.But by far the winner on the day was the fun and fellowship that everyone experienced and I’m sure will be talked about for a long time. The first outing of the year was great fun and enjoyed by all who attended. 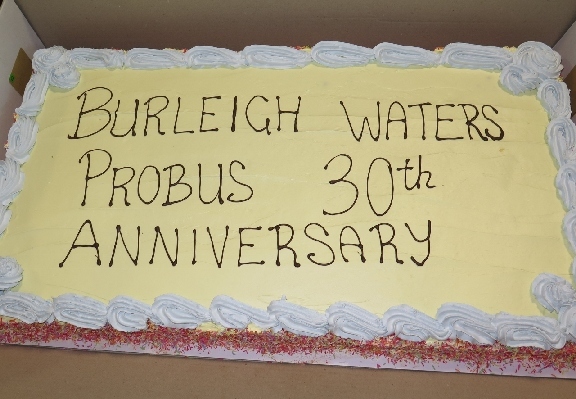 Twenty four members and guests boarded the bus at the Burleigh Waters Community Centre and we headed south to Point Danger on the Tweed for morning tea. It was a beautiful day and all were glad of the comfort of air conditioning aboard the coach. After admiring the view and partaking of the tea coffee and biscuits provided, we set off for Byron Bay. All went well until we met the Christmas traffic on the road into the town. To keep us amused, Commander Des asked trivia questions about Australia that no one knew. Prizes were awarded anyway. We finally arrived, half an hour behind schedule, at the light house and spent an hour exploring the spot and checking out the facilities. From there, it was off to lunch at the RSL where we experienced a plentiful feed of our choice at a reasonable cost. On the return journey the driver took us via the old state highway through Murwillumbah, to Tropical Fruit World where many indulged in their special ice cream. We arrived back at the Community Centre at 4.00 where a photo of the group was taken. Des Wicks Organiser.